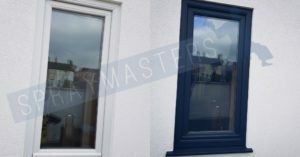 uPVC Spraying Cheaper than Replacement windows and doors. The same can be said for Kitchen Cabinet Spraying, its cheaper than a replacement Kitchen. Because the word cheaper is used doesn’t necessarily mean it’s cheap, it’s the CheaperER option. 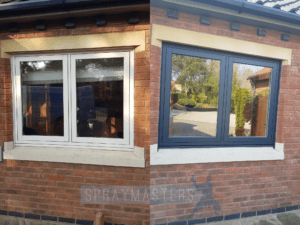 uPVC Paint Spraying is the CheaperER alternative to replacement windows. 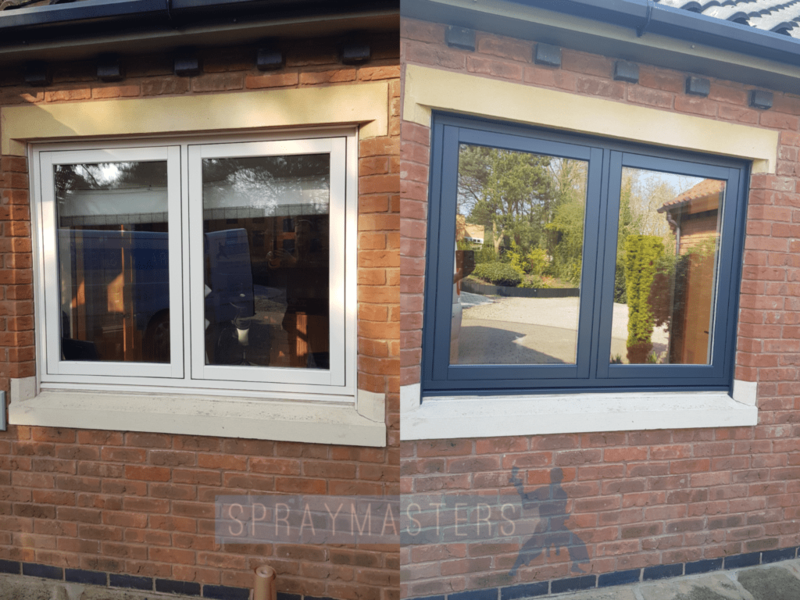 If it’s colour your after then embrace uPVC Spraying as its certainly the cost-effective solution. 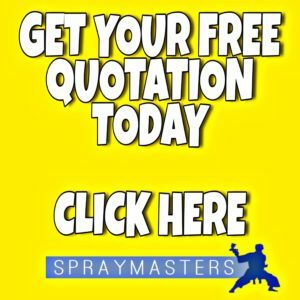 You can have them professional sprayed for less than half the cost of NEW. 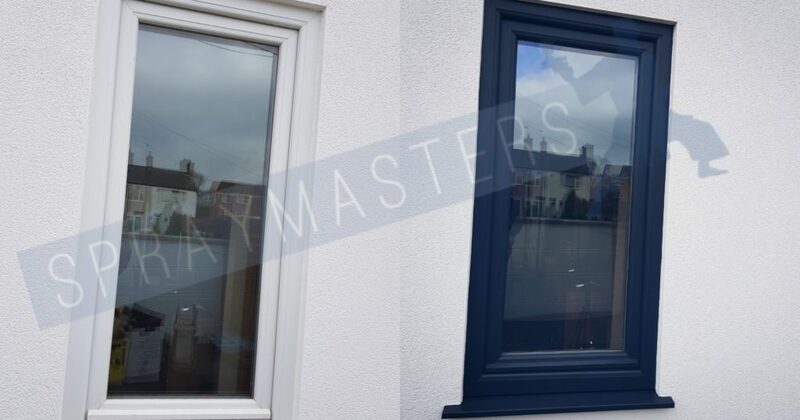 SprayMasters UK are a family run business that’s been spraying uPVC windows & doors onsite since November 2015, the cost to spray existing uPVC is less than half the cost of New, if you want it to last you. If you get a cheaper than cheap price then will it last? No! 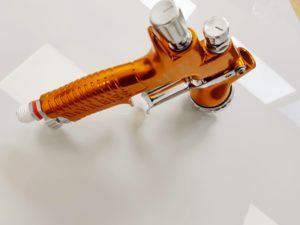 The products used to spray uPVC are expensive, the materials need to do the work are expensive, not to mention the labour, nothing about uPVC Spraying is cheap, it’s simply cheaper than NEW. 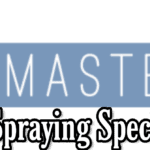 The coatings used to spray uPVC have to be applied in a correct way, a correct depth in order for it to work & also last, as uPVC Spraying becomes popular for the home owners it also attracts people who think they can make money at it by also offering it as a service. 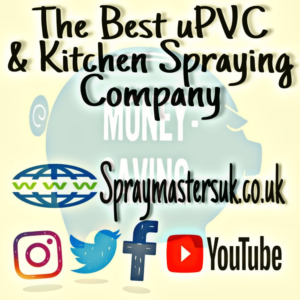 uPVC Spraying isn’t an imitation game! it’s to be done by highly skilled trained professionals. This is Your home, you want it to last, your paying for it. 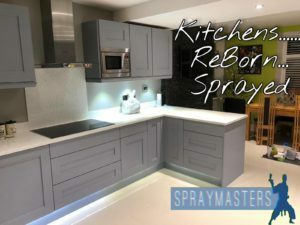 I know I wouldn’t hire a milkman to do the electrics in my house so why hire a decorator who’s turned to spraying or anyone else for that matter. 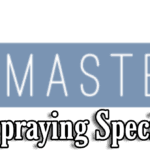 SprayMasters UK offer insurance backed guarantees, we use premium high quality products that are guaranteed to stand the test of time. We are possibly the only company that also add additional UV protection at no extra cost to the homeowner.